HOUGHTON — The snowflakes, the beloved Christmas music, the magical tale: Come to the Rozsa Center to experience the timeless Christmas tradition that is The Nutcracker ballet! Minnesota Ballet and Keweenaw Symphony Orchestra (with Joel Neves conducting) will present a fully-staged production, with live orchestra, of Tchaikovsky’s enchanting Nutcracker ballet at 7:30 p.m. Friday and Saturday, Dec. 4 and 5, 2015. 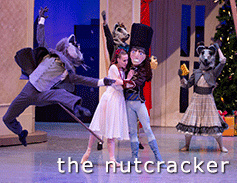 Special for The Nutcracker performances only, a $55 “family package” includes two adults and two youth tickets. Additional youth tickets can be added on for $6 each. No charge for Michigan Tech students with a Student ID/ Experience Tech fee. Advance reserved seating is now available. Tickets may be purchased by phone at 487-2073, online, in person at the Central Ticketing Office in the Student Development Complex or at the Rozsa Box Office the evening of the performance. Did you know that every fall, the Keweenaw Symphony Orchestra (KSO) performs more intimate, free (dontaion suggested), informal concerts at a local church? 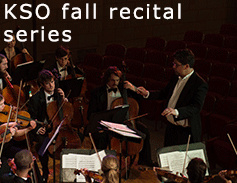 The symphony continues their “Fall KSO Recital Series” tomorrow. The Keweenaw Symphony Orchestra, with Joel Neves, conductor, has been a mainstay of the Upper Peninsula arts scene for more than thirty years. The KSO counts among its musicians Michigan Tech students, faculty, staff, community artists and guest professionals from throughout the Upper Midwest. The Fall Recital Series continues at 7 p.m. Thursday, November 19, 2015, at the Portage Lake United Church in Houghton. The suggested donation is $5, taken at the door. At the recommendation of the C2E2 Committee, David Reed, vice president for Research, announced the Century II Campaign Endowed Equipment Fund (C2E2) awards. Kent Cyr received $5,000 for Media Server Equipment. Read more at Tech Today, by Cathy Jenich. 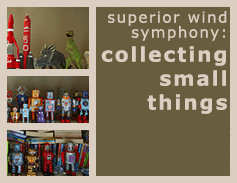 The Superior Wind Symphony will perform “Collecting Small Things” at 7:30 p.m. Friday, November 14, 2015, in the Rozsa Center. The Superior Wind Symphony is the only Michigan Tech music ensemble composed entirely of non-music majors: chemists, engineers, physics and math majors make up the band. From bassoons to oboes, trumpets to saxophones, you’ll get to focus alternately on all of the wind and percussion families of instruments, while enjoying the prowess of the entirely non-music-major ensemble. Among the performers from VPA is Aaron Christianson, Theatre and Entertainment Technology major. Young dancers will take the stage to create this magical Christmas fairytale with the Minnesota Ballet and Keweenaw Symphony Orchestra on Dec. 4 and 5, at the Rozsa Center for the Performing Arts. Tickets are on sale now, $25 for adults, $10 for youth. Special for the Nutcracker performances only, a $55 “family package” includes two adults and two youth tickets and additional youth tickets can be added on for $6 each. No charge for Michigan Tech students with a Student ID/ Experience Tech fee. Advance reserved seating is now available. Tickets may be purchased by phone at 7-2073, online, in person at the Central Ticketing Office in the Student Development Complex or at the Rozsa Box Office the evening of the performance. “What’s the use of stories that aren’t even true?” This is the question Haroun asks her father, the famous storyteller Rashid Khalifa, when her mother Soraya runs away with another man. Rashid then loses his unique talent, the ability to tell stories, and Haroun decides she must help her father recover his powers. She sets off on a remarkable journey to the fabled Sea of Stories, where many of Rashid’s outlandish yarns turn out to be not only true but alive. 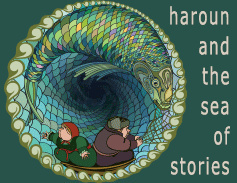 “Haroun and the Sea of Stories” opens at 7:30 p.m. Thursday, November 12, 2015, in the McArdle Theatre in the Walker Building. Additional performances are at 7:30 p.m. Friday and Saturday with a 2 p.m. Sunday matinee. Tickets at $13 for adults, $5 for youth and Michigan Tech students are free with Student ID/Experience Tech Fee. From Tech Today, by Tech Theatre. 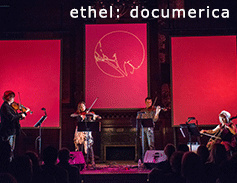 Experience the electrifying concert and multimedia meditation that is ETHEL: Documerica at 7:30 p.m. Friday at the Rozsa Center for the Performing Arts. Acclaimed as “unfailingly vital” (The New York Times), “brilliant,” “downtown’s reigning string quartet” (The New Yorker) and “one of the most exciting quartets around” (Strad Magazine), ETHEL invigorates the contemporary music scene with exuberance, intensity, imaginative programming and exceptional artistry. Documerica features video projections that parallel the music, based on the 1971 Environmental Protection Agency’s Project Documerica photographs, which capture America’s sometimes fabled, sometimes fraught relationship to its land. The imagery of Project Documerica is the inspiration for ETHEL’s Documerica, which taps the archive’s rich evocation of time and place and brings its visual and emotional impact into dialogue with the 21st century. Tickets are available by phone at 7-2073, online, in person at the Central Ticketing Office in the Student Development Complex or at the Rozsa Box Office the evening of the performance. Visit here for more information. From Tech Today, by the Rozsa Center for the Performing Arts.